Our client is a model maker and wanted a card that would catch the attention of potential clients. 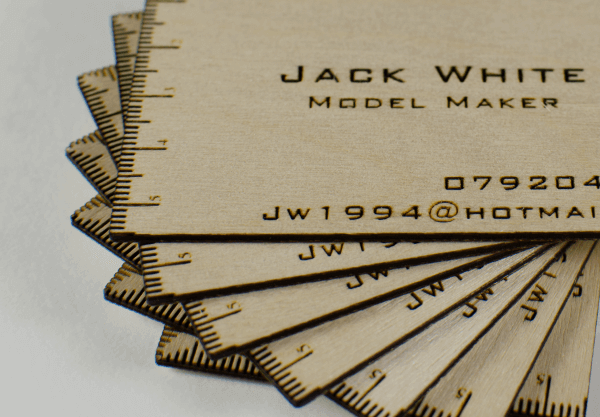 As he works with a range of different materials, we discussed the possibilities of a variety of bespoke cards and decided that wooden business cards would be an ideal solution and the most professional looking. 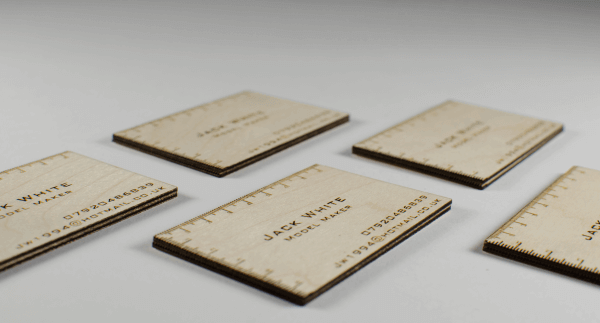 We agreed together to keep the design simple, so he opted for a single sided, laser etched birch ply with a minimal design that incorporated a handy ruler. We assisted the client with his artwork ensuring that his designs conformed to the usual specifications, paying particular attention to bleed, spot colour placement and outlining of fonts.